A leafy cactus, Pereskia sp. Pereskia shrubs in habitat in Brazil. Pereskia is a small genus of tropical cacti that don’t look at all like a typical cactus; all 17 species* have thin, spiny stems and large, privet-like leaves. Native to the Americas from Mexico to Brazil, they superficially resemble other types of plants, and often are only marginally succulent and are classified as shrubs or climbers. 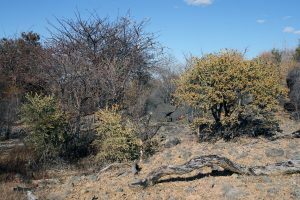 In their native habitat of dry forests or thorny scrub with a distinct dry season, these plants are typically found mixed in with other trees and shrubs and often look very similar to the surrounding plants at first glance. The spines on Pereskia come from areoles, like all other cacti. They are in the cactus family (Cactaceae), however, because they have spines developing from areoles (small light- to dark-colored bumps) and the same type of distinctive floral cup that all plants in this family have. *Molecular studies and geographical distribution suggest that there are actually two groups or clades within the original genus Pereskia, and one clade with 8 of these 17 species really belongs in a different genus, Leuenbergeria. 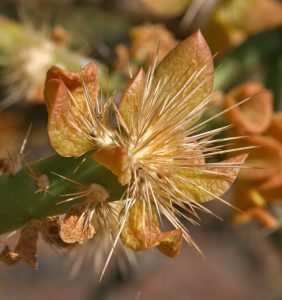 A few other genera in the Cactaceae also have leaves, but they are either succulent or not persistent, whereas Pereskia is the only genus of cacti that has persistent non-succulent leaves. It is regarded as a primitive cactus group and likely the ancestor of the cactus family resembled these leafy, spiny plants. Like their cactus cousins they also have the water-use adaptations that allow succulent leafless cacti to thrive in arid environments, including a shallow root system to allow quick water uptake, the ability to close stomata to slow water loss, and are capable of using crassulacean acid metabolism during hot, dry conditions. The genus Pereskia shows great variation in habit and form: P. grandifolia in a garden in Costa Rica (L), P. bahiensis in Brazil (LC), P. horrida rauhli in Peru (RC), and P. aculeata in a Costa Rican garden. Pereskias grow as typical deciduous trees or shrubs or scrambling/climbing vines coming from thickened, sometime tuberous roots. Those that are shrubby or treelike have a woody trunk and branches. Regardless of the habit, the young stems are thin and flexible. The alternate leaves are broad and flattened, slightly fleshy and waxy, and usually with petioles. In most species the leaves are just medium green to yellow-green, but there are two variegated cultivars of P. aculeata in the ornamental-plant trade. ‘Godseffiana’ has yellow-green leaves variegated with scarlet and copper on the upper surface, purplish or rosy-red on the underside and ‘Rubescens’ is variegated with red. Leaves may be evergreen, but chilling (temperatures below 50F) will cause the leaves to fall off in some species. The areoles on the leaf axils that bear both spines and leaves are usually woolly. The young areoles on twigs have up to 8 spines, while areoles on the trunks generally have many more straight, brown or black spines of uneven lengths and in some species their number at each areole gradually increases with age. The long spines of P. lychnidiflora have been used as needles in Guatemala. The young stems are thin and flexible (L), with fleshy, waxy leaves (LC and C), with up to eight spines coming from each areole on young twigs (C and RC) and many more on the trunk (R) in species that form a trunk. The flowers are produced singly or in inflorescences of two or more flowers ¾ to 3 inches in diameter. Individual flowers look superficially like a wild rose, with numerous petals, numerous colored stamens and a single central pistil, so the common name rose cactus is sometimes used. 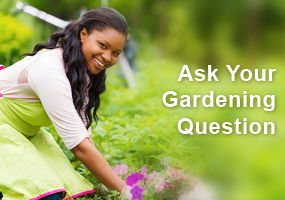 Most species have pink, rose or purple petals, but some have orange, yellow, white or cream-colored flowers. Some species have fragrant or pungent flowers. The Brazilian P. grandifolia, which flowers prolifically with 10–30 large pink flowers in each inflorescence and grows 10-20 feet tall, is often cultivated as an ornamental hedge that quickly grows into an impenetrable thicket. 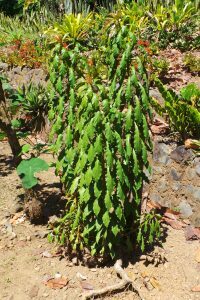 Its leaves are also edible, either raw or cooked, as are the leaves of P. aculeata, which are a popular vegetable (ora-pro-nóbis) in parts of the Brazilian state of Minas Gerais. P. bleo is a shrubby species from Central America with larger leaves with a somewhat corrugated upper surface and generally orange flowers. Dark pink and light pink flowers of different selections of Pereskia grandifolia (L and LC), small white flowers of P. horrida rauhli (RC), and large orange flower of P. bleo (R). Flowers are followed by fleshy, oblong to pear-shaped fruits. When mature they are most often yellow-green, but some can be orange, red or brown and a few species have small, spherical, glossy black fruits. The glossy black seeds embedded in the flesh are obovate to kidney shaped. The fruits of some species are edible. P. aculeata (with common names including Barbados gooseberry, lemon vine, and blade apple) – a clambering shrub or climbing vine native to the Caribbean that can have panicles with up to 70 flowers – is widely cultivated for the mildly-flavored, juicy, tart fruits that look similar to a gooseberry containing numerous small seeds (and is considered an invasive weed in South Africa where it has escaped from cultivation). The fruits of P. guamacho are collected from wild plants. Fruits of Pereskia grandifolia (L), P. bleo (C) and P. bahiensis (R). Pereskias could theoretically be used as a tropical addition to seasonal plantings for sunny, arid locations, but are rarely available for this purpose. Although they can be grown in containers, most species are too large (and spiny) with a shrubby growth habit to be practical as houseplants for most people; regular pruning can produce a more compact plant. The smaller, vining P. aculeata is the species most commonly offered as a houseplant. It does well in a hanging basket or a regular container. Like all cacti, they need ample direct sunlight and a very well drained potting medium. Unlike most other cacti, they do best with regular watering when in leaf and actively growing (but infrequent watering if it goes leafless because of cool temperatures). And being from tropical areas, they generally also need warm temperatures. They are relatively easily propagated from fresh stem cuttings (unlike most plants that need to heal over before being planted) or seed. So this is an interesting plant with what seems to be some unique features. However, I don’t find it particularly attractive. 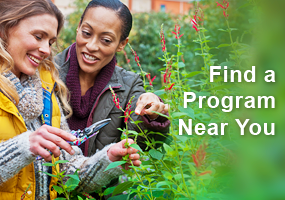 I am wondering if more articles could be posted that are more inline with keeping to the more local master gardening mission? 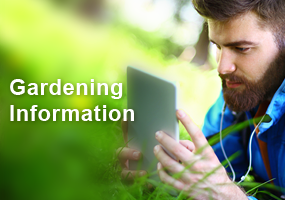 Although learning about international plants is interesting, my understanding is that we are able to read these articles for continuing education. Although I do learn something, these types of articles do not help me further develop my knowledge of the plants most commonly grown in the West-central Wisconsin area. It would really be nice and much more practical to learn more about what I actually work with in the area. Thanks. Thanks for this article. I’m always looking for plants the cats will leave alone and can live outside in the summer. Have several Cactus that i do that with now. Fascinating how the flowers can be so many varied colors and the plant, when cut, has to heal over before it can be planted. Also most interesting how the fruit can look so different. Thank you for this article. I am always looking for the ‘unusual’ in house plants. I have tall windows and adequate sunlight to hopefully grow the P.aculeata variety.